Zeven, India’s very own performance sports brand aims to create an exciting and unique assortment of products that draw on various elements of sports. It’s a multi-dimensional brand committed to transforming sports in India, is creating a new market for its products by meeting the demands of a billion Indians. The sports apparel company believes that Indians have been offered products that are too expensive, not suited to the country weather, unsuitable for women or of poor quality and styling. “Our dream is for everyIndian to “go out there and play”! For us at Zeven, your age, gender, income or location don’t matter. All we need is your desire and commitment to playing thegame. Many sports are played across India and we dream of catalyzing different people to play them; hockey, cricket, football, badminton, tennis, kabaddi and Many more. 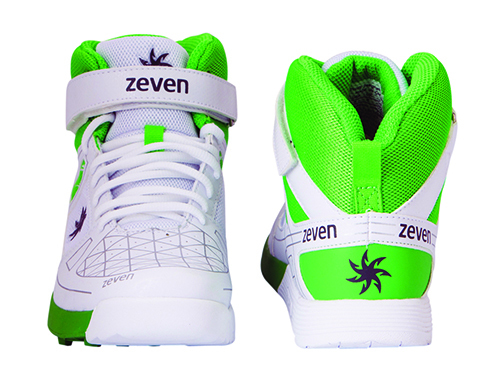 “Zeven is a multi-dimensional sportswear brand which aims at transforming the way sports is played in India. We at Zeven are attempting to make active sport an important part of everyone’s life. Zeven has developed a community portal with the intent of inspiring people at the grass root level to pick up sports again. We publish interesting stories and videos of every day sports enthusiasts from across India. This is one of the only media channels, which highlights stories of not only professional athletes, but also amateur sports enthusiasts. It also provides information about where in your city you could play your favorite sport, as well as updates on the latest events around sports at the local level. Our products have been designed keeping in mind Indian weather conditions, terrain and body type. 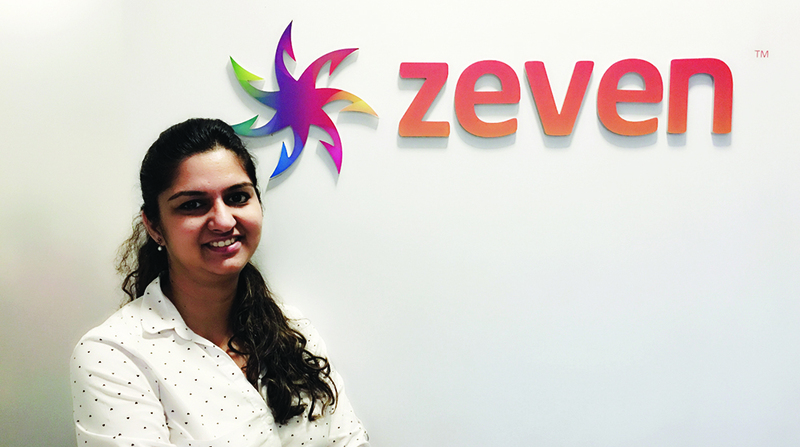 All our products, be it footwear or apparel are designed by our own team.” Poojaa Kumar Deepak, leader – marketing, Zeven told Shoes & Accessories in an exclusive interview. Zeven’s product offerings at an affordable price and quality at par with international brands have worked very well for us and we will continue to make more of the same. Poojaa is an accomplished professional with over 16 years of experience in diverse fields of sales and marketing. She has handled the marketing and communications portfoliofor major brands like Honeywell, Quantum and Café Coffee Day. Poojaa has an Executive Management degree from the Indian Institute of Management, Bangalore and an MBA from Symbiosis institute of Management Studies. As a dedicated volunteer at the Air Force Wives Welfare Association, Poojaa has been supporting the organization over the past 14 years for various causes involvingunder privileged children, parents of differently abled children and old age homes. How would you differentiate your retail business from the competition? Unlike the other brands, Zeven provides performance sports clothing, designed particularly for the Indian body type, climate conditions and terrain. Zeven’s product offerings at an affordable price and quality at par with international brands have worked very well for us and we will continue to make more of the same. What is the most significant slice of the group? For us India is the primary market, however we are looking at expanding into the Middle East,US, Africa and UK at our own pace. Which segment and categories of products have been consistently performing well? Because of the fact that each product has been designed specifically keeping in mind the requirement of a particular sport, it would be unfair to do a general assessment on these lines. The number of people playing Tennis would be less than the number of people playing cricket. The number of people running and using the gym would be far higher than those playing Cricket and Tennis and hence this would play a substantial role in the movement of products as well. Over all we at Zeven are satisfied with the acceptance of our products across categories. We have sold thousands of units of footwear and apparel and consumers for quality and value have very well appreciated every unit. What is the rationale behind the business expansion online & in MBO’s? For one we wanted our consumers to have an Omni channel experience. And for that Zeven needed to expand both offline and online. For us it is also important that we reach our consumers where they are today. While it is important for a brand to have its own stores we also have to be cognizant of the fact that consumers today prefer shopping online due to convenience, and at MBO’s to be able to evaluate offerings. And so we are where our consumer is. We do not see a very aggressive presence of the brand in the market. Our marketing strategy has been a little different from how a traditional brand would approach it. Being a performance sportswear brand we had to be where the players were, where the action was. Hence we signed up brand ambassadors across sports that we were catering to. This has been very effective for us in the sports circle. 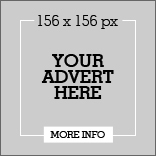 We are also into arenas where our consumer is. We will continue to expand via these channels and this year will be looking at getting brand visibility via traditional channels too. In order to reach far and wide we have maintained a very strong digital presence over the last year and a half. Our first exclusive offline brand store opened in November of last year and we started entering into the MBOs in Feb this year. With the continuation of our offline expansion this year, you will soon see us via traditional media as well. According to you what would be really high sales density factors? Being a sportswear brand we aren’t impacted a lot by the changes in fashion by the season, but more so by the sport of that season. Can you give me a profile of the typical consumer for this brand? We have two segments we cater to. 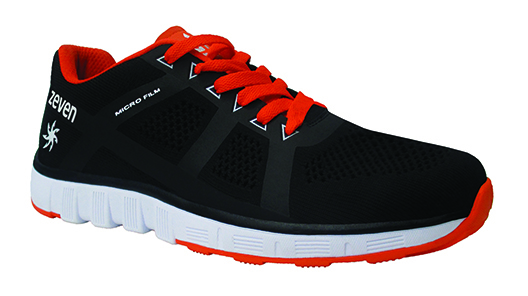 An Indian average consumer, who loves to play sport but would like to play it with the right gear, be it footwear or apparel, is conscious about what he wears both from a quality and style stand point. As well as professional athletes for whom products are designed keeping in mind the endurance the product has to bare during play, comfort that the product has to offer for the athlete to perform well. What would be the retail marketing strategy in the coming years? We are looking at expanding across India both via our own stores as well as through a strong distribution network. I am sure almost no consumer centric brand today can do without digital media. The kind of reach, engagement levels and impact digital media can create today is un-paralleled. To add to that, since Zeven has an Omni channel distribution strategy with a lot of focus on our own e-commerce portal, the market places digital media will remain an integral part of our marketing strategy. None, really. We are a young brand and a lot of our product categories are yet to come in. What would be your online strategy? Has there been an instance where a strategy went completely Wrong? We are a young brand and starting everything from scratch. It would be too early for us to discount any strategy so early in the brand lifecycle. However, there are minor tweaks which we continually make as the brand evolves. We are a young brand and starting everything from scratch. It would be too early for us to discount any strategy so early in the brand lifecycle. How critical is India to the global revenues plans of Zeven? India is our primary focus and despite the fact that we want to grow internationally, we will continue to invest our resources in developing our products specially designed for the Indian consumer. Do you plan to target rural markets? We will cater to any part of India where there are consumers who love to play. What is Zeven’s focus for the Indian market in the coming two-three years? Does it include building manufacturing capabilities in India? 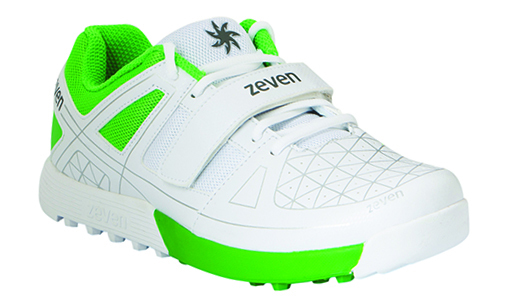 Cricket is themost popular sport, Even has brought to the market the cricket range which includes performance footwear and apparel meant to play the sport right. Our product offering is meant for both recreational Cricket as well as professional cricket. 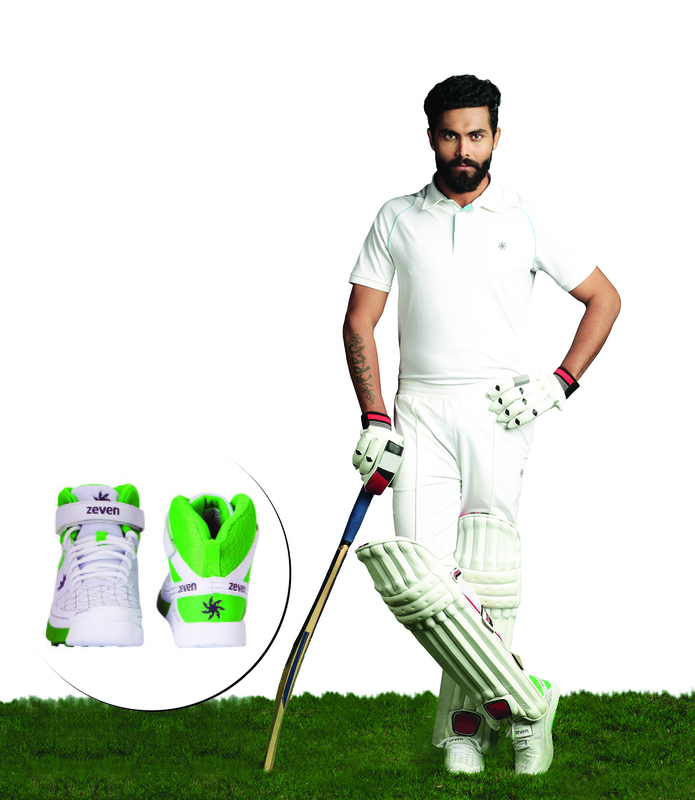 Our brand ambassadors Ravindra Jadeja and Mithali Raj, who have been playing in Zeven footwear and apparel for over a year now, endorse the cricket range. Zeven is also the official kit and merchandise partner for RCB. Cricket will remain our focus and we will continue to grow the category. 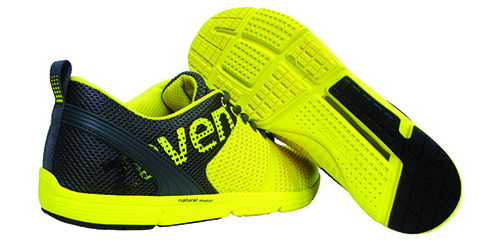 However we will bring forward product ranges across other popular sports as well. We aren’t contemplating establishing our own manufacturing units as yet. Could you sharewith the readers the most exciting thing happening at Zeven? Every day at Zeven has a story of its own. 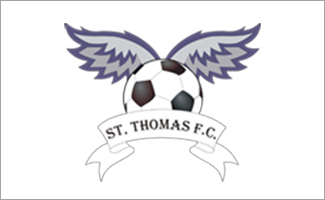 The office is always buzzing with either sports stories, new product ranges being designed, new partners coming on board or new initiatives and ideas. It’s all work and all play at Zeven.